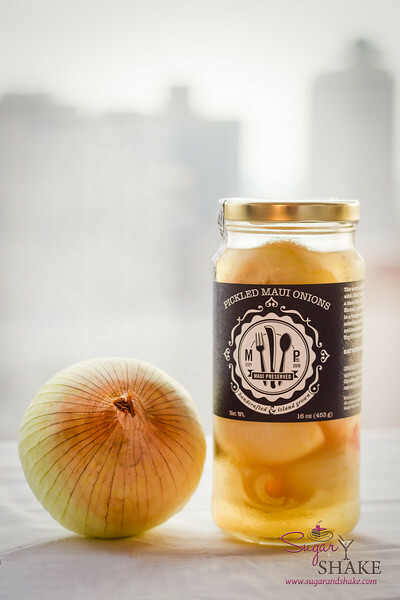 We had an entire jar of Maui Preserved Pickled Onions in our refrigerator (left over from a photo shoot at Shake’s office), and I thought it would be fun to do something creative with it. Even if I’d regret eating it later. I am not a pickle person. It’s one of those flavors that’s just too strong for me. 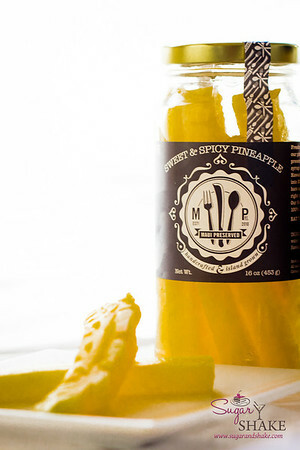 Shake loves them, though, so we frequently have pungent pickle-y items in the fridge. But I have to say, these were some very nice pickled onions. Not too pickle-y, just briny and tart enough. 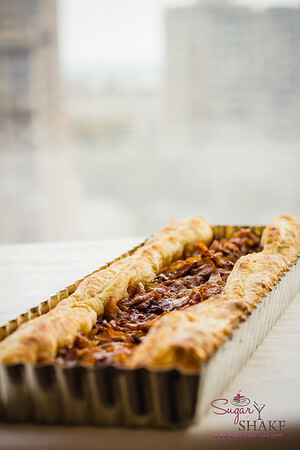 I came up with the idea of caramelizing the pickled onions and making an onion tart. I wasn’t sure if this would actually work, but I figured it was worth a shot. 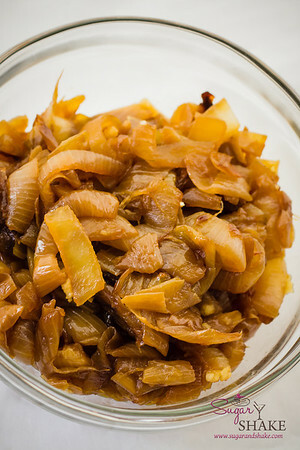 Since caramelized onions lose so much volume, I also added in a fresh Maui onion and caramelized that, too. If you were really ambitious (I wasn’t) you could make your own pastry dough for this, but I just used frozen puff pastry. I also wanted an onion-focused flavor, and not a lot of cream or cheese, so there’s no additional filling, just pure onion. And some garlic. When you see the recipe,you may also notice that I did not add any additional spices; the pickled onions contributed so much flavor, I thought any more was unnecessary. Maui Preserved makes some really cool products. I used their Maui Vanilla Powder for my Vanilla Custard with Roasted Berries. Shake also loves their Pickled Pohole (because he’s obsessed with pohole), which I fully intended to use as a garnish on the tart, but forgot. 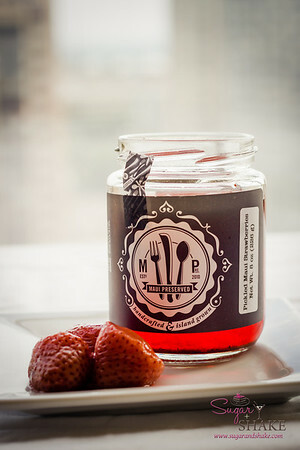 I thought I would make it a Maui Preserved pickled product day and make a dessert with the pineapple and strawberries. 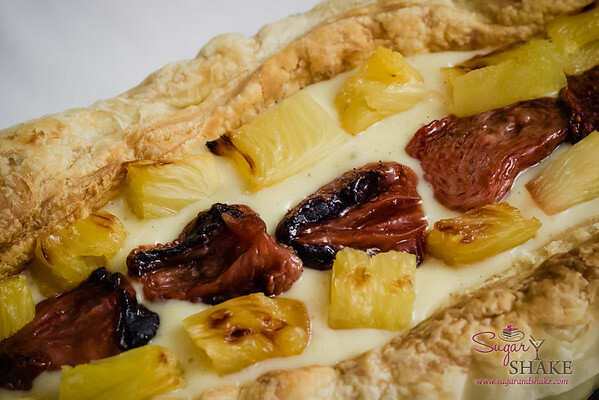 My concept was to make a fruit tart, and in retrospect, I maybe should have stuck with the same method I used for the onion tart—caramelize the fruit and bake it in a puff pastry tart. But, the spicy pineapple is VERY spicy, so I felt it needed some kind of mild filling to mellow it out. I broiled the fruit and for the filling, went with the same Vanilla Custard I’d used with the roasted berries. That was a presentation disaster, though. The taste was great, and initially, it looked pretty enough. But when I cut into it to serve…it all fell apart. Literally. The custard was too runny. I think I need to work on tweaking this one more before I share a recipe with you. On the other hand, both the Spicy Pineapple and the Pickled Strawberries were delicious! The strawberries were barely tart, with a more balsamic vinegar taste than what you might think of when you hear the word, “pickle.” I’m going to experiment with this some more and get back to you on it. In the meanwhile, here’s the recipe for the Onion Tart. Drain the pickled onions, rinse briefly in cold water and pat dry. (I’m sure there’s a use for the leftover pickling liquid, I just don’t happen to have one.) Slice into ½-inch thick pieces across the grain. Some pieces may still have a bit of hard onion root core attached; toss that out. 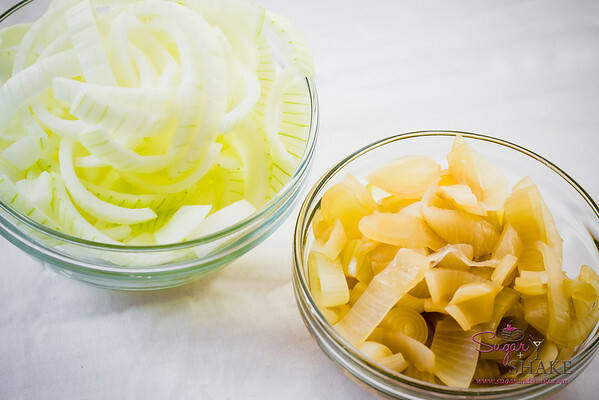 Set the sliced onions aside. When the onions are done cooking, remove from the pot and let cool. Use the garlic press to crush the garlic cloves and mix into the onions while they are still hot. 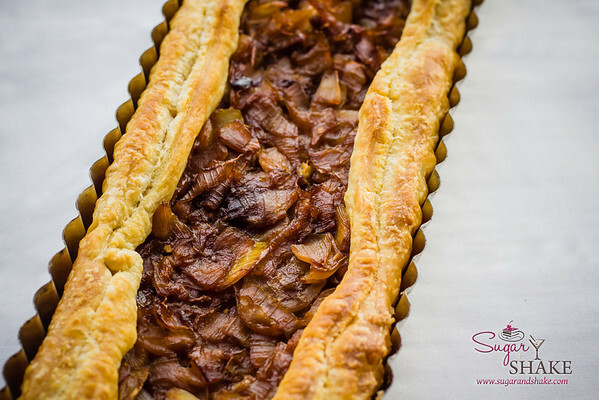 While the onions are cooling down, you can pre-heat the oven to 350° and prepare your tart pan. Lay the puff pastry into a greased tart pan—you might need to roll the pastry dough out a bit first so that it can drape fully over the entire pan. Fold any excess dough in on itself to create a thick edge. It’s OK if the short ends are left open. The great thing about this is that it doesn’t have to look perfectly precise! 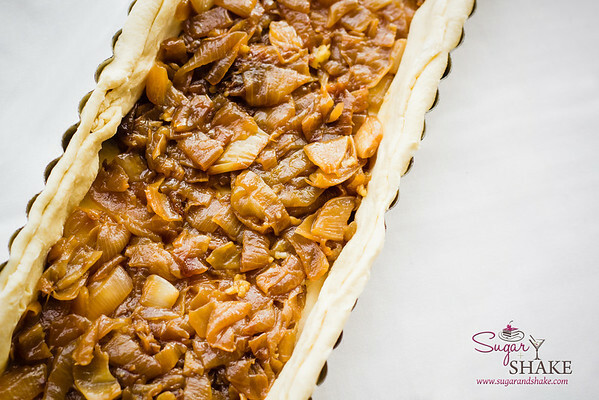 Spread the cooled onion-garlic mixture into the prepared tart pan. Bake for about 15 minutes, or until the pastry begins to puff up and turn golden brown. Cut into wedges. Better served hot or warm, but not half bad completely cooled either. Hardly a dish of mind doesn’t start with onions, so I’m all over this. Well, truthfully, the hubs does most of the cooking in my kitchen, so I’ll drop the idea in his ear and see what happens.